Microsoft’s Office 365 solution built for small and medium-sized businesses (SMBs) is now available worldwide. Designed for organizations with under 300 employees, Microsoft 365 Business includes Office 365 productivity and collaboration tools and device management and security tools across Windows 10 PCs, mobile devices, and apps. This is all done in order to simplify IT for SMBs. With Microsoft 365 Business, the tech giant wants to help SMBs meet various challenges like cyber security in a simple-to-manage place. This means that via the Admin center, IT can safeguard company information, extend security across users, apps, and devices, and ensure that PCs are up to date and secure. It also allows for the removal of company data from lost or stolen devices. 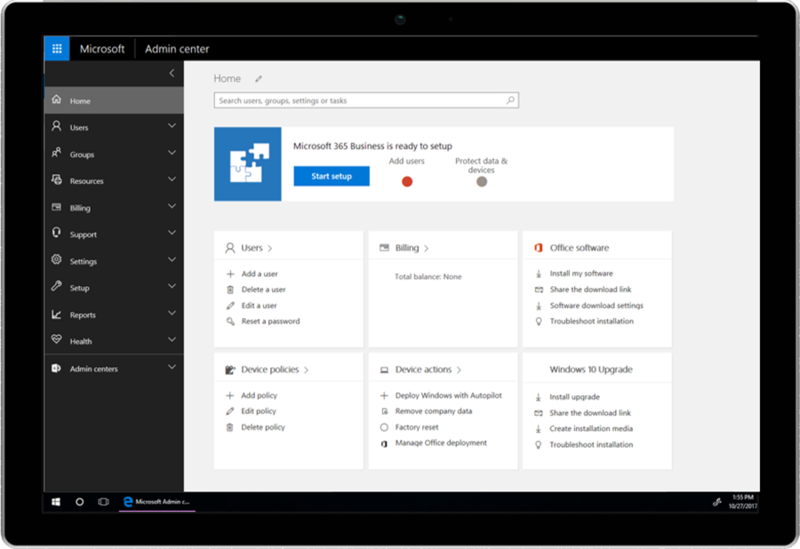 SMBs will also have an easier time managing users in Microsoft 365 Business. IT will be able to set up new employees, configure device security policies, manage user identity and access, as well as update employees versions of Windows 10 and Office from one place. It includes the entire suite of Office 365 as well. This means Microsoft 365 Business users will have access to Word, Excel, PowerPoint, Outlook, OneDrive, and Microsoft Teams. Microsoft Connections – helps businesses create and send marketing emails that showcase their brand and drive sales. Microsoft Listings – helps businesses with building a brand by listing their business on Facebook, Google, Bing, and Yelp. Microsoft Invoicing – provides new estimate and invoicing tools to help accelerate payment and manage cash flow.